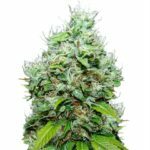 White Widow Regular Marijuana seeds are one of the most stable strains available, and have been the foundation for countless strains since their creation. 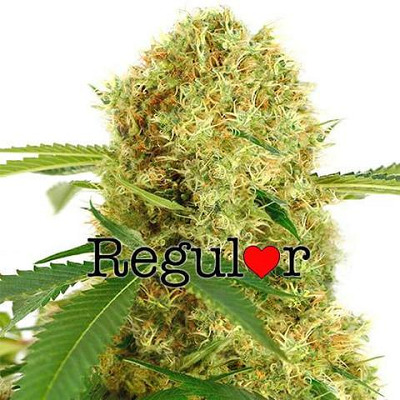 Containing a blend of 50% Indica and 50% Sativa genes, White Widow Regular seeds create compact plants with high yields of potent Marijuana buds. Perfectly stable and adapted to grow both indoors and outside, Regular White Widow seeds produce either a male or female plant. While the females produce flowers and buds, male plants produce the pollen needed for fertilization. Buying Regular seeds allows you to select a male for pollination, or female for producing clones or seeds. 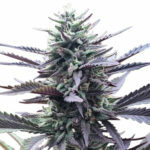 If you are only interested in growing females for buds, consider buying Feminized White Widow Seeds. 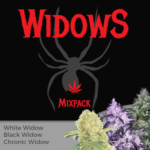 White Widow seeds are a great choice for all levels of experience, from beginner to ‘cash-crop’ commercial grower, the plants are forgiving of many mistakes and provide a high quality harvest every time. Mature heights remain squat, reaching approximately 120 cm tall at harvest. Indoor growers will enjoy high returns, with plants returning approximately 500 grams of dried, high quality buds per square meter. 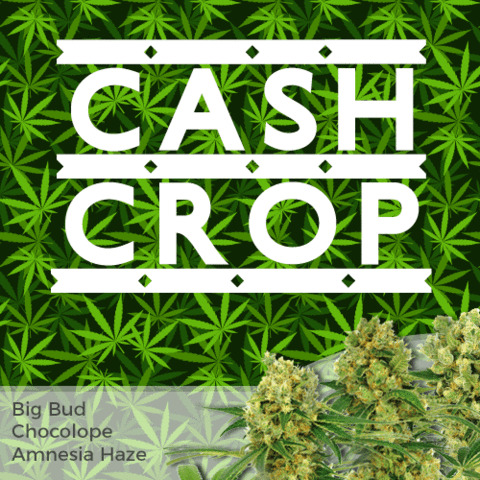 While outdoor growers will find the plants grow large and bushy, often returning incredible amounts of buds during mid-to-late September. If you would like to learn more about growing Marijuana, download the free E-Book at the top of the page. 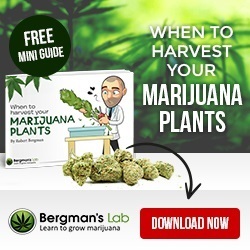 This complete guide covers all aspects of growing Marijuana from germination through to harvest. Packed full of methods and techniques, it’s totally free and without obligation, download it today and see what you could learn. Regular White Widow seeds are available in packs of 5 or 10 seeds, each pack contains a mix of both male and female seeds. White Widow Medical Marijuana is well-known for it’s large, frosted buds and huge ‘bag-appeal’. It’s natural, earthy-woody flavor compliments the pungent fruity, yet spicy aroma, providing a sensory enticement of what’s to come. White Widow Medical Marijuana is enjoyed by both recreational users for its relaxing, euphoric effects, and by medicinal users for its energizing, uplifting properties. The Indica/Sativa blend has been perfected over countless generations, providing a powerful cerebral high and strong body-stone. White Widow Marijuana has a range of positive medical attributes, with the combination of both Indica and Sativa providing release from stress, depression and pain. Sometimes referred to as ‘couch-locking’ it can assist in relieving insomnia as well as reducing the effects of anxiety, migraines, PTSD, arthritis and ADD/ADHD. 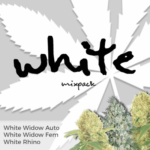 You can buy White Widow Regular Marijuana seeds in packs of 5 or 10 seeds. World-wide postage and super-stealth packaging are included in the price, and delivery is guaranteed. 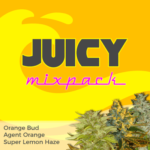 To find out more about buying Regular White Widow Marijuana seeds online, click below.